"Take My Challenge And Spend Just One Hour Each Month Building A Successful Online Business"
Hi there. 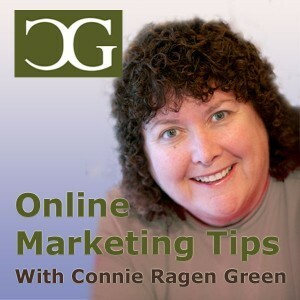 I’m Connie Ragen Green and I have been running a successful business on the Internet since 2006. I first began when made the conscious decision to leave my job as a classroom teacher and simultaneously quit working part-time in real estate. I knew this was risky, but working six or seven days a week and still not earning more than just enough to make ends meet wasn’t doing me any good either. The first year was a financial struggle as I worked hard to overcome the steep learning curve. Then it all began to come together when I started hosting my own weekly teleseminars. Little did I know that speaking to people on six continents on a regular basis was preparing me for something that would change my business and my life forever. What was it? Podcasting! My first podcast was a disaster because I had no one to guide me through the necessary steps to make it a success. 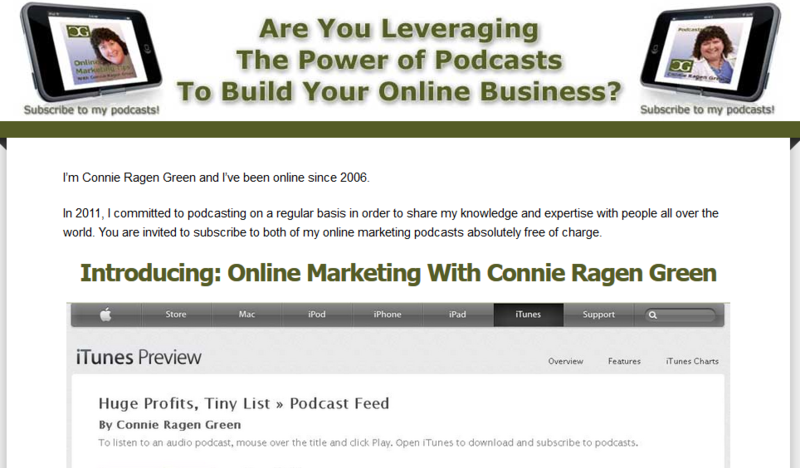 So just like the other aspects of my online business, I began to experiment with what worked and what didn’t to come up with my own step by step formula for podcasting success. And, because my motto is to always ‘keep it simple’ I decided to name this training Really Simple Podcasting. You’ll receive a plethora of training from me, but it won’t overwhelm you. I promise to give you exactly what you need to get started with your own successful podcast in just seven days. Who’s Really Paying Attention To Podcasts? The answer to that question is that more people than ever before are searching for information and training on iTunes, and your podcast can be the solution to their problem. The numbers are astronomical, and starting in 2016 many new cars will come equipped with a special device that allows people to search for podcasts while they are driving, much like we currently search for radio stations on our car stereo. This will make it possible to reach more people that may be interested in what we have to offer than ever before. Podcasting is finally going mainstream! 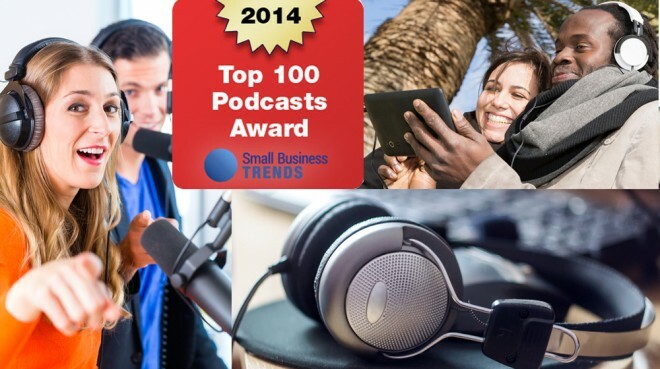 Recently one of my podcasts was named as one of the Top 100 Small Business Podcasts for 2014 by Small Business Trends. This was quite an honor and surprised me when I was first notified that I had been selected. I say ‘one of my podcasts’ because I have been hosting two podcasts for the past several years. Overall I have created more than two hundred podcast episodes with lots and lots of downloads and listens. You can do the same thing, and my Really Simple Podcasting course will show you how. Don’t like the technology part of online business? Me, either. My course explains the various ways to set up your podcast, and all of these methods are intended for you if you have limited technical skills. If I can do this, so can you. Interested in monetizing your online business? Of course you are! Even though podcasts are available for no cost over at iTunes, I will share my simple steps for making sure each one is not only a lead generator but also an income producer. When I explain how to do this you will be amazed at the simplicity of it all. The Main Report where I share how to get started and set everything up. I even include a Case Study of someone who has just recorded his first ever podcast – an interview with me! I go step by step through the steps we took to launch his podcast in style, all within a couple of hours. Podcasting with Lightning Speed – a detailed training on how to turn your podcast into a hit in record time. The 21 Ideas Blueprint for marketing yourself and your podcast to your prospects all over the planet. Interviewing Brainstorm Worksheet to get your ideas out of your head. The Four-Part Guide: Getting Your Podcast Ready for iTunes; Submitting Your Podcast to iTunes; Promoting Your iTunes Podcast; and Top 10 Mistakes to Avoid When Podcasting. Podcasting Checklist to keep you on track. Must-Have Checklist of equipment and supplies you may need. Practical Guide to Podcasting to keep everything simple. Podcasting Tutorial to short cut your way to success. Podcasting Worksheet to clarify your goals. 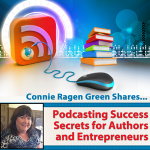 Podcasting Resources to make sure you have access to the latest information. All in all, this is the most comprehensive training available today on this important topic. With more than ten thousand words and over seventy pages, all broken up into manageable and usable sections, you’ll be podcasting in no time at all. I want to see your name and your topic represented in the iTunes store soon.